A harmonious cooperation, a devoted business spirit, an innovative edge, a worldwide brand. The white human icon symbolizes ARICO's humanity-based developments and its emphasis on and concern for humanity, which confers a positive meaning of soaring upward. The blue squares denote to the close combination of the customers, suppliers and ARICO, who thrive and prosper together in their pursuit for excellence and perfection. is the abbreviation of A Right Controller Supplier, representing the company's determination and conviction to become "an excellent industrial control products provider". The business spirit of ARICO is founded on professionalism, steadiness and customers' trust. The company has spared no efforts in innovating its products to meet international standards and becoming a worldwide brand. Founded in 1987, ARICO Technology Co.Ltd., has since committed itself in the development of industrial products and technologies to become a customer-satisfying solutions provider. 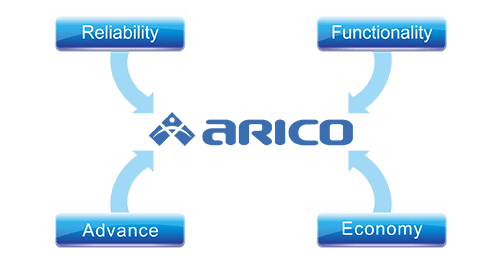 Besides researching and developing full range of sophisticated temperature control units, PC based human-machine interfaces and customized control equipment, ARICO introduces excellent products needed by related industries to expand the supply scope, bettering the company's ability to meet the customers' expectation and demand of product upgrades. High efficiency of organization operation and production management. A comprehensive marketing and service network. Maintenance of products competitiveness . Attend Chinaplas 2018 exhibition in Shanghai. Participated in TAIPEIPLAS 2018 Taipei National Plastic Industrial exhibition. Attend Chinaplas 2017 exhibition in Guangzhou. Attend Chinaplas 2016 exhibition in Shanghai. Participated in TAIPEIPLAS 2016 Taipei National Plastic Industrial exhibition. Participated in the K 2016 Dusseldolf Plastic Show, Germany. Attend Chinaplas 2015 exhibition in Guangzhou. Indplas 2015 - 7th INTERNATIONAL EXHIBITION ON PLASTICS. Attend Chinaplas 2014 exhibition in Shanghai. Participated in TAIPEIPLAS 2014 Taipei National Plastic Industrial exhibition. Participated in the Chinaplas 2013 in Guangzhou and attend the K2013 plastic exhibition in Düsseldorf, Germany. Research and develop TC500 and TC5H hot runner temperature controller. Attend Chinaplas exhibition in Shanghai. Attend participated TAIPEIPLAS 2012 Taipei National Plastic Industrial exhibition. Research and develop TC5200 Multi-Cavity Hot Runner Controllers. Attend Chinaplas exhibition in Guangzhou. Attend participated TAIPEIPLAS 2010 Taipei National Plastic Industrial exhibition. Chinaplas 2010 exhibition and K2010 plastic exhibition in Dusseldolf, Germany. Research and develop Galaxy AR1100, AR1200, AR1800 series industrial controlers. Participated in the NPE2009 in USA and attend the Chinaplas2009 in Guangzhou. Approved by ISO9001and 2008 revised version Certification. Launched TC5V Valve gate controller, TC5F / C5S hot runner controllers and Galaxy AR1000 series industrial controllers. Attend Chinaplas 2008 exhibition and participated TAIPEIPLAS 2008 Taipei National Plastic Industrial exhibition and IPF 2008 in Japan. Research and develop Galaxy AR1000 series industrial controllers. Taipei industry removed to Sindian city. Launched S100 temperature controllers and TC5000 hot runner controllers. Participated in the Chinaplas2007 in Guangzhou and attend the K2007 plastic exhibition in Dusseldolf, Germany. Launched P800 temperature controllers and TC5M hot runner controllers. Participated in the NPE2006 in USA and attend the Chinaplas2006 in Shanghai, and Taipeiplas 2006 in Taiwan. Launched V100 Series temperature controllers and TC5E hot runner controller. Developed P800 temperature controller and TC5M hot runner controller. Increased the functions 0f the P100 Series temperature controllers. Capital increased to 60 million NTD. Participated in the IPF2005 in Japan. Formally launched the P100 Series temperature controllers. Capital increased to 40 million NTD. Developed the V100 Series temperature controllers and TC5E hot runner controller. Participated in the K2004 plastic exhibition in Dusseldolf, Germany and attended the Taipei Plas exhibition. Passed ISO9001 certification. Formally launched the A100 Series temperature controllers and TCD5 hot runner controllers. Developed the P100 Series temperature controllers. Capital increased to 30 million NTD. Attended NPE 2003 exhibition. Developed A100 Series temperature controllers and TCD5 heat channel controllers. Participated in the K2001 Dusseldolf Plastic Show, Germany. Type F computers went into mass production. Upgraded the China office to branch. Company's name changed to "Arico Technology Co,. Ltd.". OP96 computers went into mass production. Tainan branch established assembly line. Set up the Hong Kong branch and capital increased to 17 million NTD.  Passed ISO 9002 certification. Participated in the K98 plastic show in Dusseldolf, Germany. Attend EURO BLECH`98 exhibition in Hannover, Germany. Attended ISA 98-Instrument exhibition in Houston, U.S.A.
Relocated to the current site in Hsintien City, Taipei County; developed Type H computer successfully. Set up the China office. Exported Type E computers successfully to Hong Kong and China. Increased the capital to 10 million NTD. Launched Type D and E computers. Developed industrial controller with MIRL. Obtained distributorship of GEFRAN products in the Greater China region. Established the Tainan branch with the capital increased to 5.1 million NTD. Launched Type A Injection Molding machine controller. Launched TC4 temperature controller; established the Taichung branch. Launched TC2, TC3 temperature controller; developed Injection Molding machine controller. Founded in Taipei, Taiwan as Verdure Electrics Co.,Ltd. with a capital of 1.7 million NTD.